At OmniKey Realty, our Investment Acquisitions and Sales team specializes in working with investors to grow and expand their portfolio. From start to finish, we are there for each step of the process for acquiring, renting, and then selling investment properties. Texas offers an incredible opportunity for individuals wanting to increase income, maximize cash flow, and participate in one of the most exciting business opportunities – real estate. To learn more about why these metroplexes provides such a fantastic investment market, visit our Why Invest page. We are a full service real estate brokerage specializing in investment property acquisition, sales, and property management. We are a licensed and insured company in the state of Texas and are an accredited business with The Better Business Bureau. When you become an OmniKey client, we will first discuss your goals and financial position to determine the best financial process for you to acquire investment property. We hold your hand through the entire process and typically have between 80 and 140 properties on our available list at any given time. All Investment Acquisitions and Sales team purchases and sales are personally overseen by OmniKey owners Leah and Michael Slaughter which is another great example of their "family-owned, corporate benefit" approach. We can help you purchase with a 1031-exchange, through an IRA, by cash, or with traditional or portfolio lending. If lending is the best option, we have lenders able to offer conventional financing, portfolio lending, hard money lending, commercial and multi-family financing, IRA non-recourse financing and more. Next, we will help you to locate a property or properties for purchase. We work with many different types of properties and have direct contacts with banks, builders, relocation companies, etc. to make sure you find exactly what fits you. We handle negotiating the contract price and terms you want and work with the vendors to assess the condition of each property and determining the work needed if the property is not new construction and then acquiring quotes for any work to be done. About 95% of our inventory is direct, off market new construction properties. Learn more about this here. Upon closing, we will oversee the work being completed if a preowned property and we will also have the property brought to rental code. We immediately list the property upon closing to help minimize down time. This listing includes professional photos, a showing scheduling service, the commission to a tenant's agent if applicable, and much more. To view a full overview of our property management and leasing services, please click here. We typically recommend a 2-6 year hold on most acquisitions depending on the market status. With the cash flow, heightened appreciation, and/or initial equity on each property, this is often the perfect time frame to sell and recapture all equity and either keep the profit or to do a 1031-Exchange and use one sale to allow for two purchases, two sales for four, etc., which is the ultimate path to retirement by building a large portfolio. Many of our clients start with just one rental and move quickly towards retirement. We are constantly monitoring the market and tier our leases to prime season whenever possible as we always have the end game of flipping in mind. Our leases allow us to place a key box and list for sale during the lease, and we typically list 2-3 months before the lease goes month to month so we have a tenant paying rent while it is listed for sale and then proceed to give the tenant notice once a firm contract for purchase is secured. We even have tenants and other investors purchasing properties we list, so we don't exclude any marketing avenue for a quick, high-value sale. 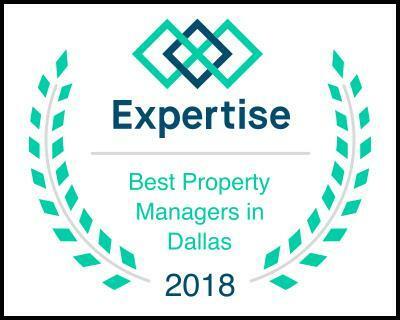 If you would like to receive more information on our services, or if you would like to start receiving lists of properties available for purchase meeting this criteria, please contact our team at Investments@OmniKeyTexas.com, visit Become A Client, or call us at (833) OmniKey Extension 20 (833-666-4539). We also offer investment property tours. If you are interested in attending one of these tours, let us know.